Google Chrome doesn't open at all. Google Chrome displays a "Your preferences could not be read" error message at startup. Delete your current Chrome profile, and see if this helps to resolve Chrome's problems. Instructions on how to remove the stored Chrome profile can be found in this article. Navigate to the following locations and delete (or rename) the “Chrome” folder(s) that exist there. 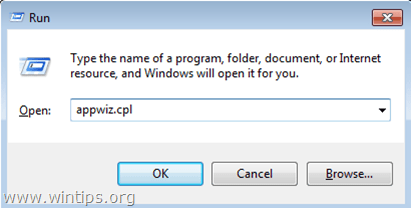 « Remove Roll Around Ads (Adware Removal Guide)	» How to fix "Windows could not finish configuring the system" error after running Sysprep. Help! 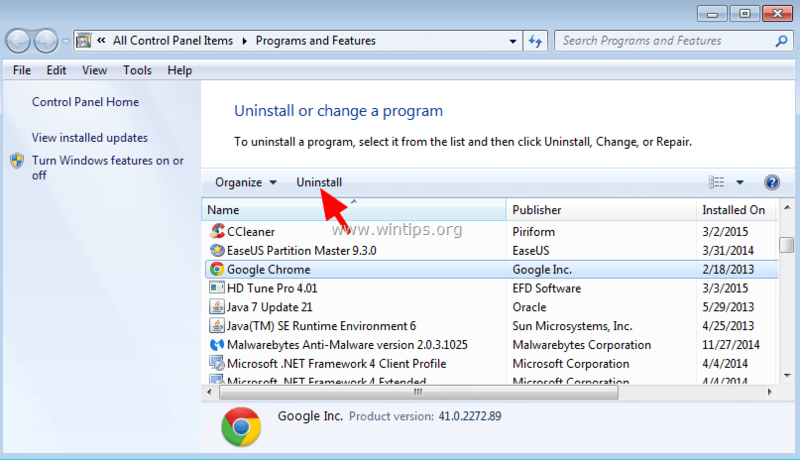 I want to uninstall Chrome completely but it does not appear in the list of Installed Programs. Any suggestions? I am on Windows XP Pro. @Alison: Follow the steps 2 & 3 from this article. My Chrome webpage display cut off the right hand side, so I could not reach the the vertical three dots. Very helpful guide in small steps, though I had to interpret the steps to fit Windows 10, partly by searching C: for any specific Chrome files (excluding any which just happened to mention Chrome). I deleted two files. 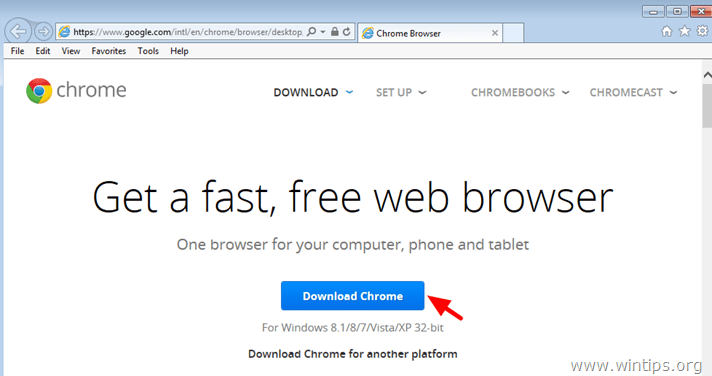 Easy to re-install,by accessing Google Chrome from Firefox, but look carefully to choose the download option you want. Follow instructions, allow time! Once Chrome was downloaded, I could immediately restore all bookmarks etc because my son in law had previously told me to register with Google, so I just clicked on my name ikon, entered my Google password, and my old bookmark bar etc re-appeared. Thank you. Who can help? Google chrome worked fine until suddenly there appeared a NEW TAB and opening showing UNTITLED. Can not fix, anyone having any idea what has happend? 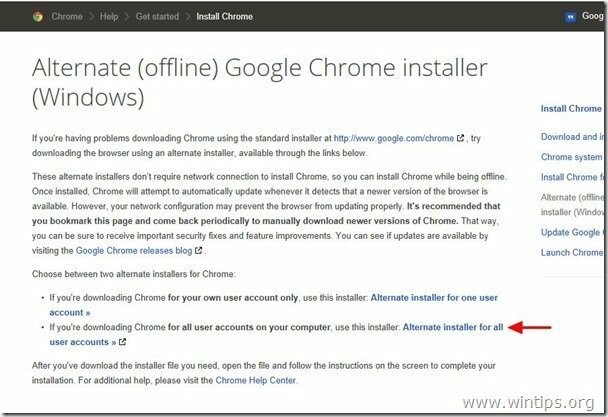 How to reinstall if your internet for google scrfeen not working. E-mail connection ok.
@Renate Hrdy: Follow the instructions in this article to fix the Chrome issue. Additionally make sure that your system is clean from malware by following the steps in this guide: Quick Malware Scan and Removal Guide for PC's. Still not working. The setup fails at the middle of the installation, however all other browsers work. Windows 7 64-bit fully updated. Chrome suddenly failed to open any page, in the past was slowing down when I scrolled down on pages like Facebook. There is no malware, I already scanned with: Bitdefender Total Security trial, emsisoft emergency kit on a live Windows flash drive but no way to clean install Google Chrome after doing the first steps. Tried with Revo Uninstaller too, removed all the files. Simply not working. @Anonymous: Boot Windows in Safe Mode and then apply the instructions. Don't forget to delete the Chrome folders (Step 3). Additionally scan your system by using the instructions in this guide. In the process of deleting Chrome following the instructions above. Just on the first step (deleting from users, then appdata), it is still searching for files to delete and is currently at 13 million. Is this normal?? Looks like this step will take all day. angie: Can you try to delete them in Windows Safe Mode? Here is how I found out to delete the Chrome app…I was experiencing many of the same symptoms a lot of you mentioned on here; Chrome would not open, neither would it uninstall from the settings menu…I then went to the default programs tab and removed Chrome as the default web browser. It then uninstalled fine; I reinstalled it and it works like it should. Hope this simple fix works for you all. @Damian Higuita: I suppose that you have the wrong version of Windows in the USB stick to repair your system. When trying to delete the folders (last step) It reported that some (three actually) were still in use, even though Chrome was not running. ..worst buggy browser I've ever run! @Chris: Start Windows in Safe Mode and then delete that folders. @shiva: Start Windows in Safe Mode and then uninstall Chrome. @Satis: Scan your computer for malware by using this guide: Quick Malware Scan and Removal Guide for PC's. thankyou very vvery much this post was exactly for what I was looking for. surprising that uninstall does not clear out chrome folders. @rbis: When you get this error? 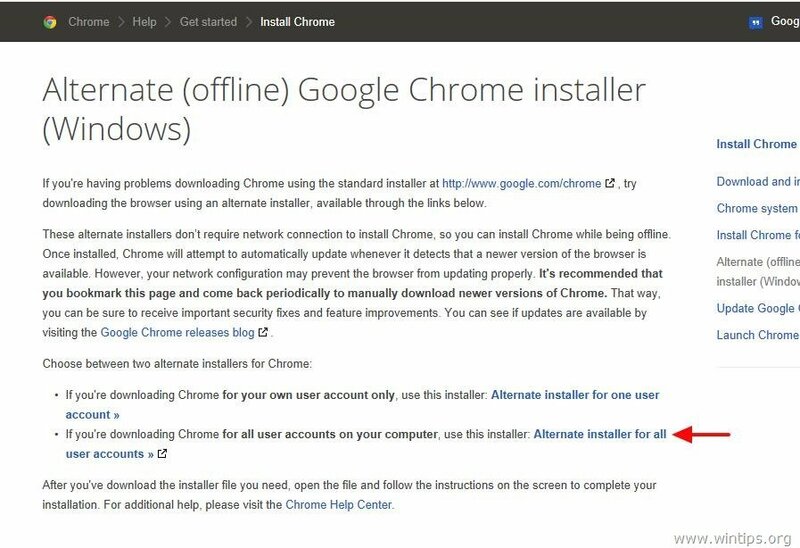 Try to uninstall Chrome by using GeekUninstaller. Thanks that helped soooo much! I have an infection of timesindia.xyz on my Windows 10 system. While I had never installed google chrome, I find it installed now and ads keep appearing under a google chrome window. I do not see Google chrome as one of the programs that I can uninstall – though there is a folder for Google chrome unde my Appdata folder. No uninstall option there either. No fold unde program files. Please advise. @V. Rangan: Use GeekUninstaller to remove Chrome from your computer. Perfect! Just what I was looking for. Although in truth I was hoping to find a quick and easy clean-up tool to just run and do this for me (I'm lazy like that), but this works. Who knows maybe I will drum up the initiative to turn this into a script and publish it lol. In any case, thanks for the good info! Thank you very much! I had searched and searched looking for this very information! You've been very helpful. Also, thanks for the mention of MalwareBytes. I love the program and have owned Pro for several years. I recommend it highly as well. Thanks for the Article. That was exactly what I was looking for!